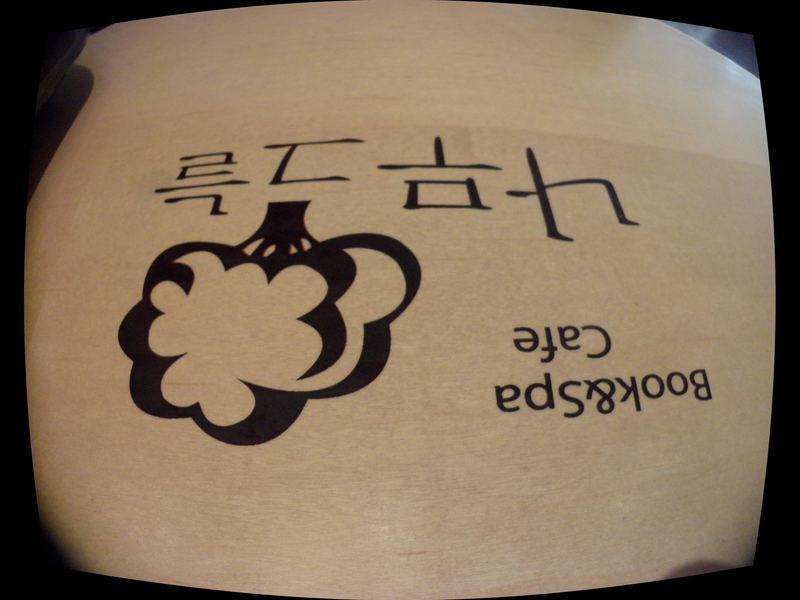 The Art of Korean Relaxation! ~taking a rest~ | Kimchi with Eish! Koreans stress very easily. In fact they are constantly under pressure from which ever authority is above them. They need to work harder, work longer and work better all the time. This is something that I will never grow accustomed to because Korean work ethic and I are not good friends. Koreans are stressed because they have very high standards, sometimes too high! It’s no wonder that the suicide rate in Korea is among the highest in the world. Koreans need to “take a rest”. A Jimjillbang is probably the number 1 Korean solution for stress. truly I cannot imagine a better place to take a rest than amongst 100’s of naked people! Okay probably not 100’s but still. A Jimjillbang is a Sauna and spa where Korans all flok to over weekends. It’s all indoors and the prerequisite is that you are comfortable in your birth suite. Now it’s not a perverted place and I think when you move around the spa you wear a robe, you only get naked in the sauna, steam room etc. I am yet to experience everything that is the Jimjillbang but almost 6 months in and I still haven’t built up the courage. It’s just as a foreigner in Korea you get stared at ALL the time. As if the circus rolled into town, or some sort of alien! Now can you imagine the stares a naked foreigner would get! And more importantly WHERE those stares would be directed at. Nope I’ll need more courage. A friend of mine here in Daegu wrote an excellent blog on her Jimjillbang experience. Read the post here! Korea is very small. Roughly the size of Portugal but with 4 times as many people. Therefore almost all Koreans live in Apartments. A lushes green yard is all but a dream over here. Therefore with no gardens to relax in and Koreans flock to public parks or beaches in th summer! Since We I am LANDLOCKED here in the fiery pits of Daegu I will write about the park. Koreans take themselves, their children and sometimes even their grandparents to the parks. Once at the Park they will take out a big picnic mat and assemble the whole family on it. If for one or other reason the picnic mat was forgotten at home its no problem because grumpy men on scooters drive around the park selling picnic mats for the low-low price of 2000Won. Another added bonus of these picnic mats are that they are silver. They remind me of the sun screen that I have for my car. Silver and super reflective. Before any UV ray can consider coming your way it’s on it’s way back to the sun faster than it came here. Although Koreans love the outdoors (seriously in some areas there are more hiking clothing stores than 7elevens) they have an ungodly fear of the sun. They will cover every inch of skin with something when they go outdoors. In the park Koreans can also order bbq chicken from other men driving around on scooters. But most Koreans come to the park to drink. Especially older people and mostly on Sundays. On Sundays the old people per square kilometer in Korean parks is the highest in the world. Add litres and litres of Soju and Makoeli to that equation and it involves hours of observing pleasure – from a safe distance off course! But in essence the park is on of the favourite places of the Koreans to ‘take a rest’. Koreans love going to the doctor. They go the doctor for everything. Probably because their Healthcare system is amongst the best I have ever experienced and ridiculously cheap. And a doctor is viewed as someone that makes you better! So if a bunch (school) of fish can also improve your state of being than they have to be referred to as doctor as well, right? Enter Dr. Fish. I know I have seen this on TV before and it kind of grossed me out! The idea of flesh eating fish nibbling away at your feet seemed all but relaxing. 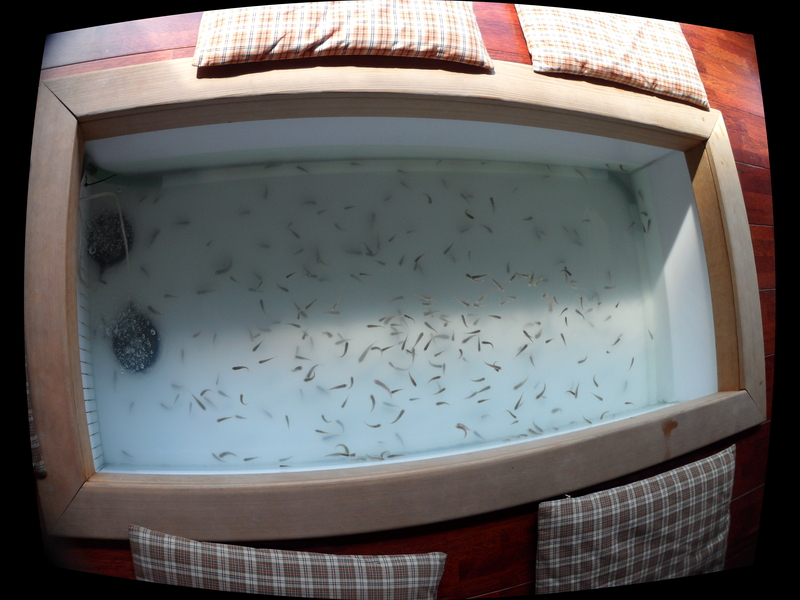 These fish feet spa’s are everywhere and also on the top 10 taking a rest list! Since I don’t eat fish I could fathom the idea of them eating me me. So I made my way to Dr. Fish. My feet could do with some treatment. But the whole experience is quite relaxing. We arrived at dr. Fish and had to wait a few minutes for them to prepare everything. They had to clean out the water and change the fish. In that time you can sit down and have coffee, water or juice. When everything is ready they will call you and you approach the flesh eating fish. The fish are in what seems to be giant sinks in the floor swimming around in ankle high water. 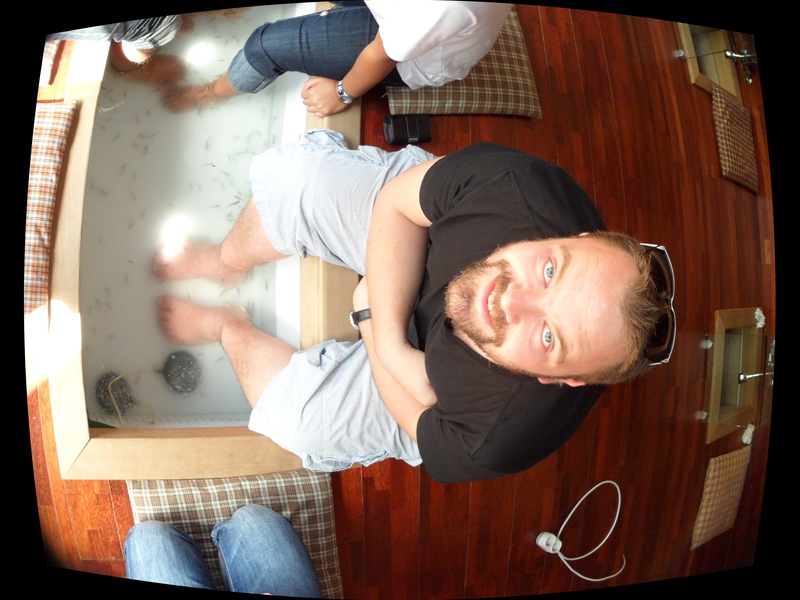 You are required to wash your feet in a separate area before introducing your feet to the fish! You are charged for every 15 minutes. The fish immediately flock your feet and it tickles like hell! I had to ease my feet in and out a few times before I got used to the feeling. It does not hurt at all. I’m not sure if the fish has any teeth but they basically just nibble away the dead skin. and they keep going until you lift your feet out of the water. This was truly a relaxing experience and I can see myself heading back again and again! once your fifteen minutes is over you have to rinse of your feet again. Then they spray one or other disinfectant of some kind on your feet and viola – you have super awesome feeling feet! Once you are done, there is a selection of breads that you can help yourself to! WOWOWOWOWOWOWOWOWOWO THE TWO BROWNIES ARE ON THE VIDEO!!! its makes you tickle isnt it? eating your dead skin is weired but i think fish likes it delicious hahehehehe! Still not yet?… Well, I hear ya about the jimjilbang experience. LOL. I don’t get as many stares, as I sorta …uh, blend. You on the other hand, might stand out a teensie bit. Well, before you leave Korea, you’ll have to bite the bullet. Why not do the co-ed part instead? What is the “co-ed” part of the jimjilbang experience?